The Metzke™ Above Head LD RC Assembly. With a growing number of drill rigs being adapted to a Multi purpose / RC drilling application Metzke™ has recognised the requirement for a compact, field serviceable and easily retro-fittable assembly. The Metzke™ Above Head LD RC assembly includes 3 major components. The Metzke™ Above Head RC Assembly. 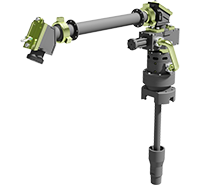 For purpose built RC Drill Rigs and conversions of DTH rotation heads, Metzke™ has recognised the requirement for a compact, field serviceable and easily retro-fittable assembly. 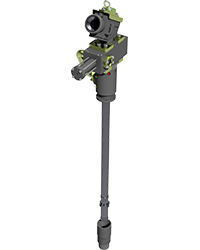 The Metzke™ Above Head HD RC assembly includes 3 major components.